Built-in convexity means added security and skin protection for recessed, retracted and flush stomas...pre-cut openings. 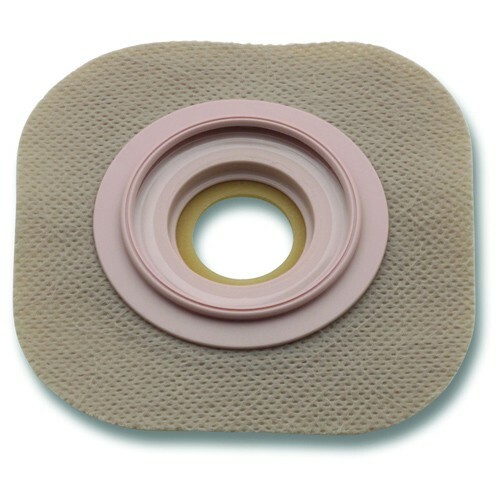 Eliminates pressure on tender post operative abdomens with the exclusive Floating Flange. Protects skin from corrosive drainage with long wearing cross-linked FlexWear skin barrier with integral convexity. I think I ordered these before and the adherence isn't as good for extended wear as with the taped surrounding the flange. Prefer the floating flange with a convex design and tape.